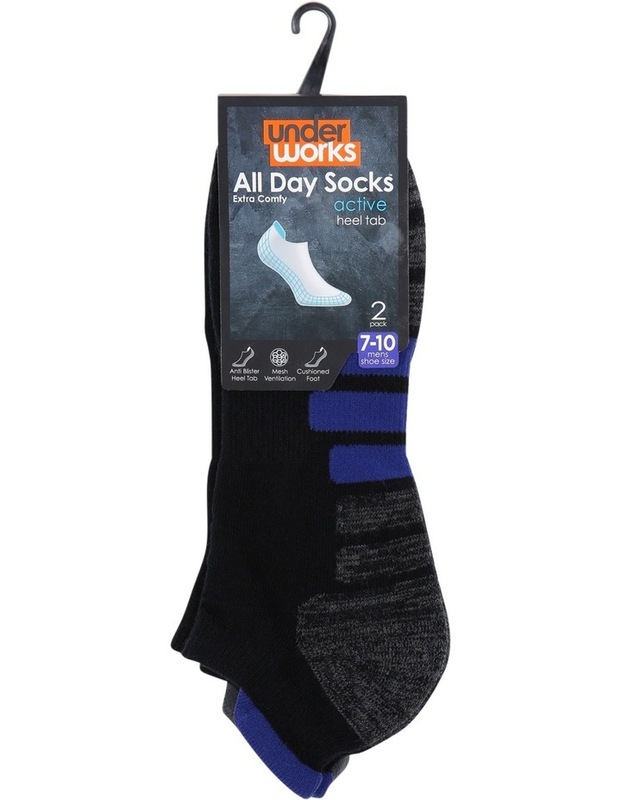 All Day Socks Men's 2pk Active Heel Tab Sport Socks. Cotton blend. 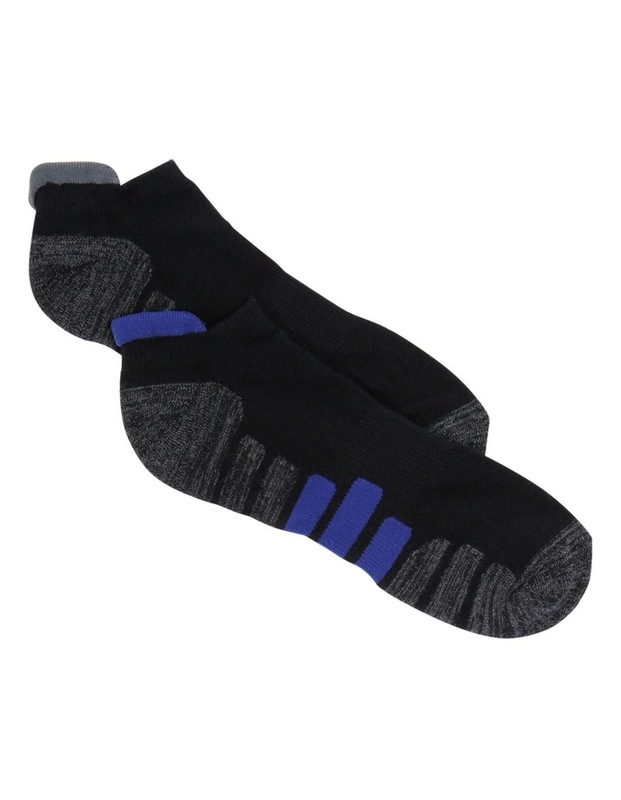 This sock has mesh ventilation, cushion foot and anti-blister heel tab. Product code M22551MY - BLK2.